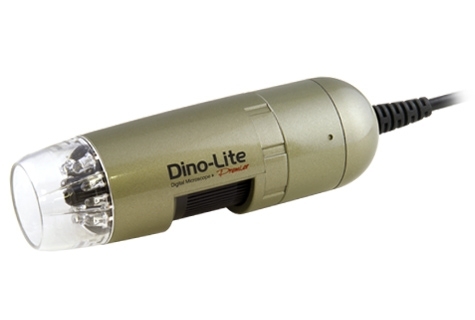 The Dino-Lite AM4113T5X is a specialized 500x magnification model with enhanced 1.3 Megapixels sensor. It can observe the core of hair (medulla) and hair cuticles showing essential details with clear and bright observation for hair examination. With its capabilities, it is found also to excel in applications such as textile, chip/ circuit board inspections, and other applications that require examination of intricate surfaces. The AM4113T5X uses the H11 housing which is the second generation housing for the Dino-Lite that incorporates: improved magnification dial movement for smooth and easy adjustment and focusing with the Dino-Lite, a scroll lock feature for assuring desired set magnification/ focus, and a cable strain relief (SR) that holds the Dino-Lite and its USB Cable together for greater resistance from pulls and twists.